How to add Items in right click menu in windows 7? I have noticed that when you right click on your desktop, you generally see options like-view,sort by,refresh etc. I want to add my own programs or items in this list. 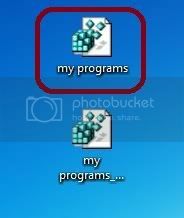 Is there any way to do that in windows 7? If yes then how? I am ready to use third party software as well.In case, software is needed, provide me the name of that particular software. In what way items can be added to the shutdown menu on HP windows notebook? What has to be done for adding Â‘Select AllÂ’ option into right click context menu in Windows 7? 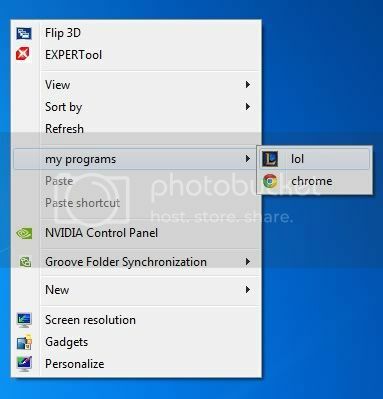 How to add Â‘DropboxÂ’ to start menu of Windows 7? Re: How to add Items in right click menu in windows 7? 2.Navigating to this directory can be a headache for some, this is why we will use a quicker method. 3.Type “shell:sendto” in Start Search without the quotes and hit Enter. It will add the items in right click menu in windows 7.
this is how you can any item to your right click menu. 1. OPen the RUN command in the start menu. 3.The screen should look similar to this. 4. You will need to create a new key underneath the shell key, the name of which is exactly what is going to show up on the desktop menu. 5. Right click on the Shell key, and then choose New\key from the menu. 6. Give the new key the name that you want to show up on the desktop context menu, for this example will be using notepad. 8. Next you will need to create command key that will actually hold the command used to launch the application. Right click on the new Notepad key, and then close New/Key from the menu. 9. Give the key the name "command" in lowercase. 10. To complete this step you'll need the full path to the application that you want to launch. YOu can right click to get the copy as path menu item to find this more quickly. 12. Now click on command on the left side, and double click on the (default) key in the right side to edit the string value. 13. Paste in the full path to the executable that you got from the "copy as Path" step above, or you can put in the full path yourself if you'd like. 14. 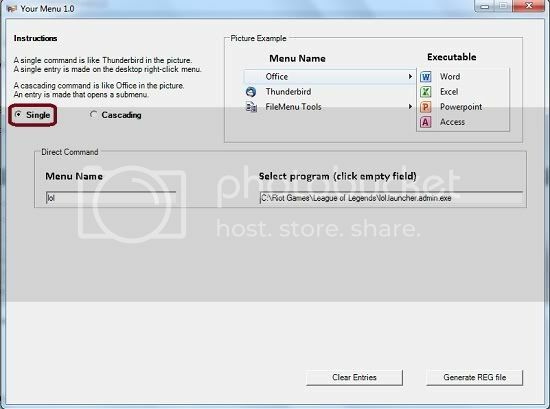 And right clicking on the desktop will produce the new menu item naturally, using this menu item should launch Notepad. 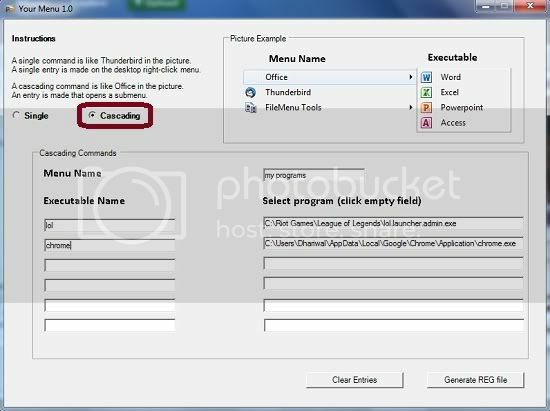 Simplest way to add quick launch context menu in Windows XP professional?